What’s it like seeing ‘your’ band play at a big festival, when only a small proportion of the crowd are fans and most would rather have a chin-wag and quaff cider than listen to the music? Will your band win them over, or at least give a good account of themselves? It was an interesting experience watching Level 42 under those circumstances last weekend. The Love Supreme Festival was celebrating its fifth birthday, no mean feat for an outdoor ‘jazz’ festival, thriving in a niche marketplace by focusing on the improvising musicians of tomorrow, established genre names and crossover artists whose presence no doubt raises some eyebrows (the other main-stage headliners this year were Earth Wind & Fire, George Clinton and Elvis Costello). 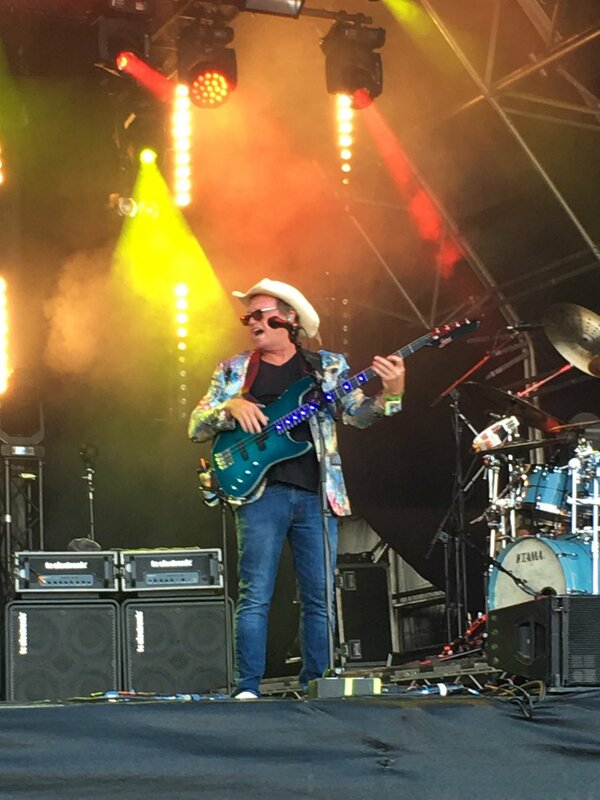 A big festival gig should, on the face of it, be a doddle for a band with as many hits and as much musical credibility as Mark King and his muckers – you knock off a lean, mean hour and get the crowd saying: ‘I’d forgotten about this one!’. But they did it the hard way this time, kicking off with nobody’s favourite Level 42 song ‘Heaven In My Hands’ then segueing speedily into ‘Dream Crazy’, ‘To Be With You Again’ and ‘It’s Over’. A superb ‘Children Say’, complete with a reference to Coltrane’s ‘A Love Supreme’, got things back on track musically but also seemed lost on the crowd. King was unsettled. Had he blown it? No. He soldiered on, making some cracks about the World Cup and the Alan Shearer lookalike on trumpet, before ‘Running In The Family’ prompted an outbreak of interpretative dancing from the Brighton teenagers. Secret weapon Mike Lindup sounded in superb voice during ‘Lessons In Love’, ‘Something About You’ and ‘Hot Water’, but, predictably, it was the classic jazz/funk/fusion-era material that gained most traction: ‘Starchild’, ‘Love Games’ and a never-groovier ‘Sun Goes Down (Living It Up)’. Suddenly the crowd and gig came to life. There could have been much more in that vein. Where was ‘Almost There’, ‘Micro Kid’, ‘Turn It On’, ‘The Chinese Way’, even ’43’, ‘Mr Pink’ or ‘Heathrow’? But when the material was right, the band sounded superb. King’s voice may be past its best but his bass skills have reached new heights. The slapping sometimes lacked precision but his fingerstyle playing goes from strength to strength. He embellished ‘Children Say’, ‘Starchild’ and ‘Sun Goes Down’ with some outstanding modal moves. There’s life in the Isle Of Wight lad yet. ‘Pocket’ is hard to define but you know it when you hear it. Drummers often say that you’re either in the pocket or you ain’t, and as such the expression is mostly used in association with great US groovemasters like Richie Hayward, James Gadson, Bernard Purdie and Andy Newmark. But ex-Level 42 drummer Phil Gould has been busy over the last 35 years (and a personal musical hero for about 30 of those) laying claim to be the UK’s premier proponent of ‘pocket’, but he has a lot of other weapons in his arsenal too. Though relatively quiet since leaving Level 42 in 1987 (making a brief return in 1994), Gould pops up on the London live music scene now and again. He also released his first solo album Watertight in 2009. This 606 gig was very much a Level 42 reunion of sorts featuring keyboards and vocals from Mike Lindup and honorary ‘fifth member’ Wally Badarou, though, in an unexpected but typically generous move from the modest drummer/leader, the focus was very much on excellent vocalists Diana Winter and Sumudu with added support from the superb Yolanda Charles on bass, guitarist Fabio Balestrieri and Alex (son of Phil) Gould on piano and occasional drums. 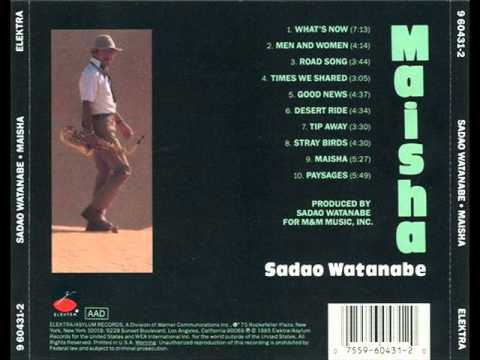 The opening ‘Madness’ was a reliable portent of things to come, with Gould’s tasty, behind-the-beat groove underpinning some gentle Latin percussion and Mike Lindup’s strong vocals and electric piano. Winter and Sumudu took centrestage for most of the rest of the first set, their voices combining exceptionally well especially on the catchy ‘Supergirl’. Badarou dusted off a funky, rough-and-ready version of the mid-’80s dancefloor classic ‘Chief Inspector’, adding some piquant synth flavours, while Lindup aired an excellent songwriting collaboration with Billy Cobham and Dominic Miller. Perhaps predictably though, the highlight of the evening was a nifty run-through of the classic Level 42 instrumental ‘Heathrow’, with Charles powering the band superbly and even supplying a note-for-note rendition of Mark King’s original bass part. On a difficult day for music, with the earlier announcement of David Bowie’s death, Gould provided an uplifting – if very light – evening with lots of healing sounds, fine vocals, lean grooves and good vibes. It’s always a pleasure to hear him at the kit, and it’s also always a pleasure to get down to the 606, one of the great hidden gems of the London music scene. As a young band starting out in the ’80s, your ideal career trajectory would probably go something like this: get together with a few mates, start rehearsing, get the gear in a van, tour the nation’s toilets, slowly build your audience, get a manager, get the (dodgy?) record deal, release your debut, get on ‘Top Of The Pops’ and then hope you’ve got a career. But it’s one of the rules of pop that some folks can’t handle fame when it hits. To paraphrase Bill Bruford: first you cope with failure, then you cope with success. From Syd Barrett through Ian Curtis to Billy Mackenzie (is it mainly a British thing? ), there are always artists who have bailed out when the constant routine of promotion and miming to the hit single becomes too much like a regular job. The syndrome even affected pop/jazz/funk heroes Level 42, who in 1985 produced arguably their finest album in World Machine, though lost half their original line-up in the process including one of the finest-ever British drummers. The band’s popularity had been steadily building throughout the ’80s. Though their live following had always been strong and they always had hits, the singles usually seemed like happy accidents – ‘Sun Goes Down (Living It Up)’, ‘Chinese Way’ and ‘Hot Water’ were all last-minute album additions based on studio jams. Now their record label Polydor wanted a more concerted assault on the singles charts and a more current sound, and to that end outstanding bassist/vocalist Mark King took much more of a lead than before. Alongside co-producer/keys man Wally Badarou, the band laid down the most cohesive, streamlined collection of songs in their career thus far with two or three obvious singles at demo stage (though not a view apparently shared by then manager John Gould whose negative reaction to the new songs contributed to him being given the push in a heated band meeting). Not everyone in the band was happy with this brave new musical direction either. Main lyricist and drummer Phil Gould (brother of ex-manager John and guitarist Boon) had always peppered Level 42’s songs with allusions to psychology, science fiction and esoteric spirituality, drawing on writers like Arthur Koestler, Hermann Hesse and EM Forster, but by early 1985 the pressure was on to deliver boy/girl songs with universal themes. In an excellent recent interview, Phil has talked about Polydor wanting the band to do party anthems like ‘Let’s Groove‘ and suggesting they do a cover version of ‘Nature Boy‘. He struggled against this direction, rightly surmising that they would quickly become typecast as a clichéd Brit-funk band. Though he did eventually tone down the lyrical imagery a bit on World Machine, he still smuggled in some depth and despair to songs such as the title track, ‘Physical Presence’, ‘Leaving Me Now’ and ‘Coup D’Etat’. Oh yes – the music. One of the great pleasures of World Machine is its consistency of tone; you can drop the needle anywhere and hear the quality. The band had mastered the kind of half-time funk groove which had frequently littered their earlier work, and the style reached its apogee here with bassists and drummers rushing off to play along to ‘Good Man In A Storm’ (why has it never been played live? ), ‘A Physical Presence’, ‘Leaving Me Now’, ‘Dream Crazy’ and ‘It’s Not The Same For Us’ (which was initially going to be a Mark King lead vocal as revealed on this amusing demo). But the sequence-heavy nature of some other tracks (particularly the title track, ‘Something About You’ and ‘I Sleep On My Heart’) also aroused some musical differences in the band. It’s intriguing to imagine what these songs would have sounded like shorn of their ‘hi-tech’ elements. Level 42 had secured several hits before, but for many people ‘Something About You‘ was the real breakthrough. Incredibly, it reached number 7 in the US singles chart, perhaps inspired by a really good accompanying video. It still sounds like a great pop song today despite a rather stiff groove (is it Level’s ‘Every Breath You Take’?!). So whether it was a breakthrough or breakdown, or both, World Machine delivered both commercially and artistically. It reached number 3 in the UK album chart, staying in the top 100 for 72 weeks. I saw the band at the Hammersmith Odeon on the – as usual – completely sold-out UK tour. They then went off to the US to tour with Madonna and Steve Winwood. The brothers Phil and Boon Gould left the band soon after recording the follow-up Running In The Family and the classic line-up was no more. Great memories, great sounds, great band.